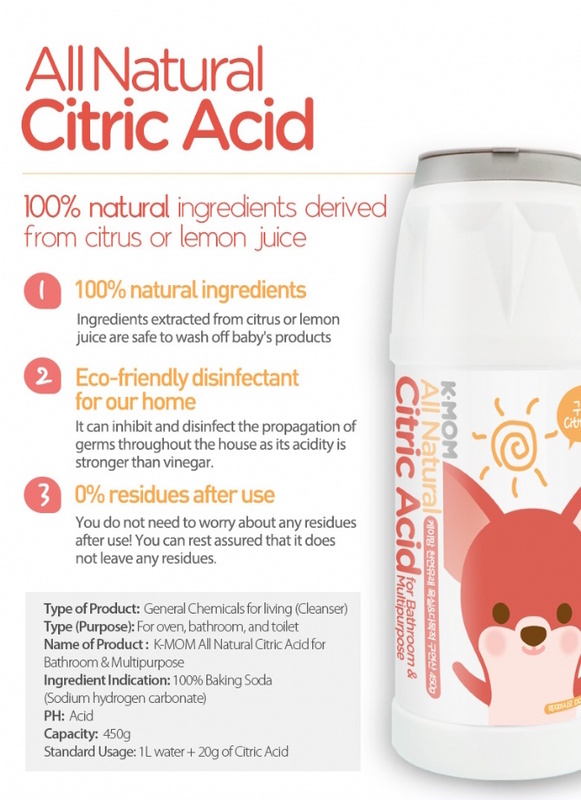 -100% all natural citric acid, which is safe to use on baby products. 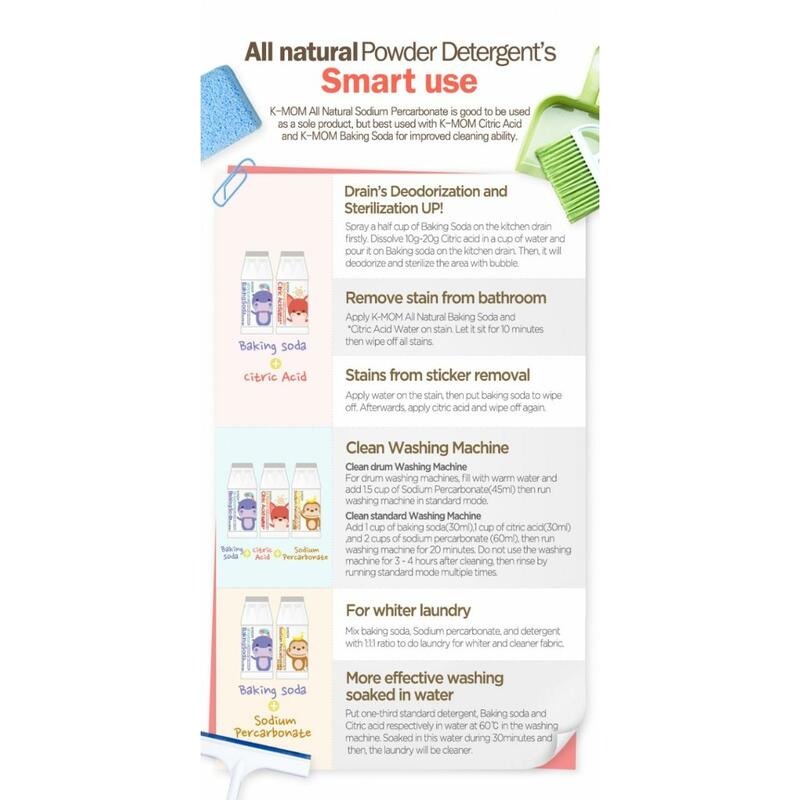 -Citric acid is multipurpose and can be used for stain removal, sterilizing, laundry softening and cleaning. 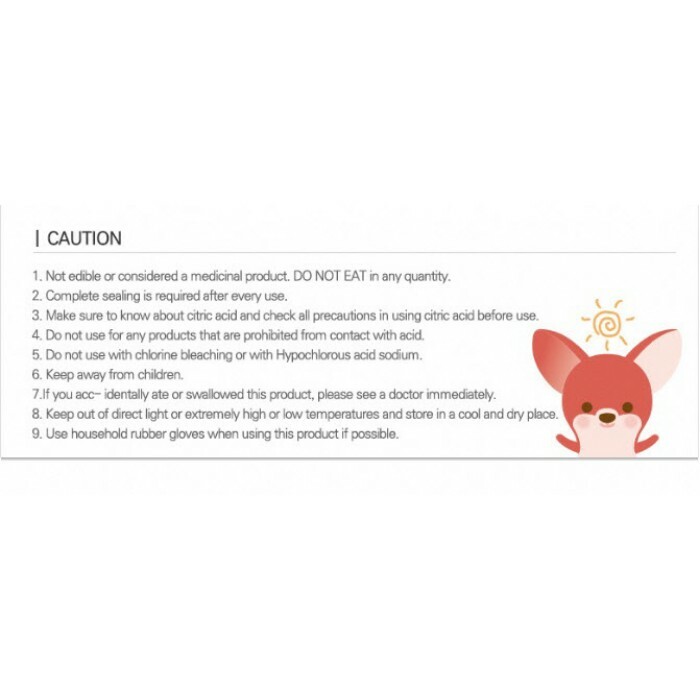 -Acidic components are extracted from tangerine and lemon juice. 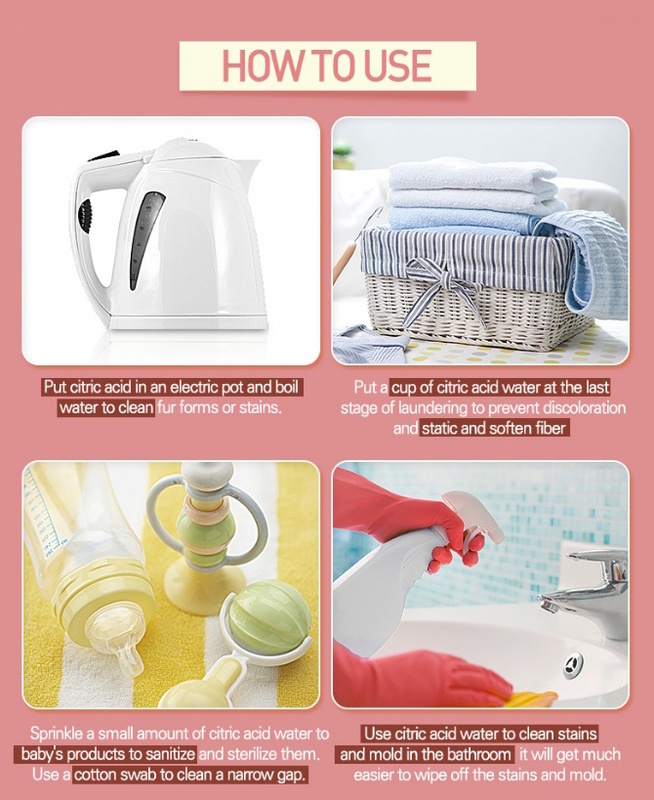 -Very effective for cleaning water stains from electronic kettles, rice cookers and baby food makers.